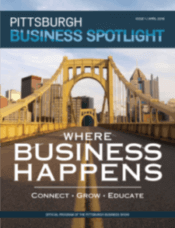 Linda Jo Thornberg is the President of the Pittsburgh Business Show. She works with businesses of all industries and sizes including small, medium, and multi-location businesses. Linda Jo specializes in brand awareness, local PR and social media integration, as well as online reputation, online review and testimonial generation. Linda Jo’s passion has always been business development, working to make sure that people make the right connections to help run their business. Linda Jo loves leadership and empowering people to do the right thing, whether it is in their daily life or in their careers. Her background has uniquely positioned her to run the Pittsburgh Business Show and to continue to make it successful. Linda Jo has nearly 20 years of experience running large-scale events at multiple venues across the country, including business-to-consumer shows, golf outings, trade shows, and more. These experiences has helped to prepare her to create one the largest B2B shows in the northeast United States. During the First Annual Pittsburgh Business Show, Linda Jo was proud to build and produce an event that became the most successful B2B show in the Pittsburgh region. Linda Jo wants business owners to see the vision of the Pittsburgh Business Show and to help them make connections, while educating and learning about business, products, and more, and then drive their revenue through relationships and leads. Being a part of the Show means that everyone involved is creating a legacy for businesses in the region for years to come. “The feedback that we received from the first Show was overwhelmingly positive, with speakers, sponsors, vendors, and attendees saying that this one-of-a-kind show was a great stepping stone for people who want to engage the Pittsburgh market. We know the 2018 Show will be bigger and even better. The Show was both great for new business opportunities, as well as a great source for learning new information to run and grow our businesses,” said Linda Jo. Linda Jo grew up in the Mon Valley area of Pennsylvania and pursued her professional career throughout the northwestern part of the United States. She returned to Pittsburgh after 20 years and knew that she was home. Her professional background is in corporate retail and marketing with over 20 years in the industry. She attended Edinboro University of PA and Mercyhurst College and focused her education on communication and management. She is very involved in the local Chambers of Commerce, various networking events, and in her local community. She is an avid sports fan and loves anything to do with Pittsburgh sports, including the Pirates, the Penguins, and the Steelers. Bryan Thornberg is the Managing Partner of the Pittsburgh Business Show. He is also the CEO of Higher Images, a 16-year old digital marketing company and media firm in Bridgeville, Pennsylvania. Under his leadership, Higher Images has been named one of the fastest-growing companies in the Pittsburgh area, one of the best places to work in Western Pennsylvania, and one of the largest area multimedia and digital marketing. Higher Images has also been recognized by the Keystone Alliance for Performance Excellence. As President and Chief Executive Officer, Bryan leads his team in all digital projects, consultations, development, marketing, public relations, sales, analytics, account management, and product support. His company and 20-person staff works with business of all sizes and serves local, regional, and national businesses who are growing their companies, capturing larger audiences, assisting more customers, and increasing their revenue. As a seasoned business owner in Pittsburgh, he knows how important it is for business owners to connect. “For businesses that are considering new strategies to expand their customer base and reach, Pittsburgh offers a high-tech environment, an experienced and eager workforce, and inviting surroundings for both start-ups and established companies. Using Pittsburgh to increase your revenue and influence is the key to growing your business now and in the future,” he says. Most recently in Bryan’s accomplishments include becoming a Board of Director Member for MAPE. The Mid-Atlantic Alliance for Performance Excellence (MAPE) is a 501c(3) non-profit corporation that helps all types of organizations improve their performance and outcomes throughout Pennsylvania, New Jersey, and Delaware. Bryan has also been a member of the The Alternative Board member since 2011. The Alternative Board brings solid business owners and leaders from non-competing industries together in a group setting – similar to a board of directors on a monthly basis. His past experience and achievements in his career include being the National Sales Manager for Zaxis International, where he developed and implemented worldwide marketing and distribution to OEM and sold BioTechnology products and reagents. He was also the National Sales Manager for Twin Teach Learning Solutions where he developed and implemented a national sales force to sell online training for professionals to take for continuing educational credits through universities. He is a Robert Morris University graduate and continues his Alumni relationship as an Advisor today. He is always looking for ways to give back to the community, including helping the Keystone Young Marines, Carnegie Theatre, Monessen Library, Relay for Life, and the Veterans of America. Outside of work, he enjoys spending time with his wife and daughters, scuba diving, and traveling. He is proud to finally realize his dream of the Pittsburgh Business Show and helping businesses and the economy grow in the region. As the Pittsburgh Business Show’s Editor and Creative Director, Lynda created all of the print materials for the 2017 Show, including the Show program, brochures, tickets, and print and billboard advertisements. 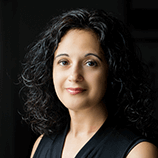 She has over 20 years of experience in print and digital design work. As a graphic designer, property photographer, and creative project manager, Lynda partners with businesses to help them conceptualize, manage, and complete the visual projects within their marketing plan. She graduated from Pittsburgh Technical College’s Graphic Design program and worked for a marketing advertising agency for 10 years before forming her current company, Stewart Creative. 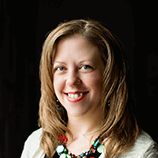 She has vast experience in hospitality, tourism, and special event design, with clients that include VisitPittsburgh, Visit Mercer County PA, Lawrence County Economic Development Corporation, Buhl Mansion, Tara – A Country Inn, The Priory, and many more. Lynda enjoys spending time with her son, daughter, and husband. She loves Deep Creek, MD, listening to live music, cooking, and decorating. She’s a huge Steelers fan and binge watches American Pickers. Craig is the Pittsburgh Business Show Technology Director, which means that he works on the Pittsburgh Business Show’s many tech tools, including application and product development. He’s also a master at digital product development, with decades of experience and an endless amount of new ideas that helps keep the Show’s many tech products humming along. An early riser, he’s typically at work at his desk before the sun comes up, working on the day’s tasks. When he’s not dreaming up new applications, Craig loves to write, play, and produce music, especially the blues. He’s a proud U.S. Marine veteran who served his country for 21 years, and he enjoy spending time with his family, especially his granddaughter. Dana is the Public Relations Director of the Pittsburgh Business Show, and she is usually busy talking to executives, business owners, and entrepreneurs around the Pittsburgh region to learn what products and services they offer so that they can be highlighted for the press. She graduated from RMU and Duquesne University with communications degrees and has worked in the health, education, training, and aviation industries. She and her husband are parents to a teen and tween, and they enjoy traveling.